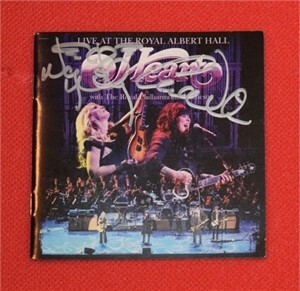 Heart Live at Royal Albert Hall CD booklet ONLY autographed in silver by both Ann Wilson and Nancy Wilson. With certificate of authenticity from AutographsForSale.com. CD IS NOT INCLUDED. ONLY ONE AVAILABLE FOR SALE.